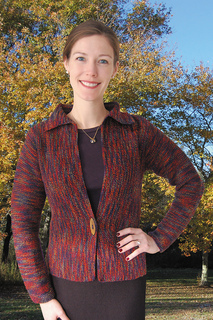 VERY EASY This one-piece, one-button cardigan is knitted in garter stitch from cuff to cuff. 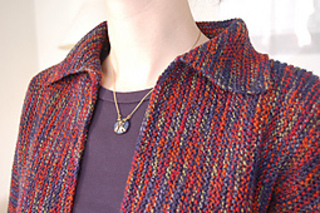 Suitable for beginners who want to take the next step and make a garment with a buttonhole. Cardigan has 2 seams from cuffs to hem. What better project for a newbie bored with scarves? 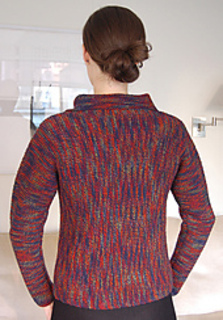 And what better use of a yarn with an extraordinary colourway or texture? And for the expert, the simplicity of line and utter versatility of this piece are like a return to a perfect loaf of white bread for an artisanal baker.